Over the last few years, Sébastien Roux has worked with the principle of translation. In practice, using a pre-existent artworks (visual, musical, literary) as scores for new works (radiophonic or electro-acoustic taped music). In 2010, Roux visited DIA Beacon and experienced Sol Lewitt's wall drawings, each of which consists in a series of instructions executed by a team of draftspeople. Their combination of serial practices and simple geometric shapes impressed Roux for their inherent musicality, and he has sought a system to make these drawings listenable. 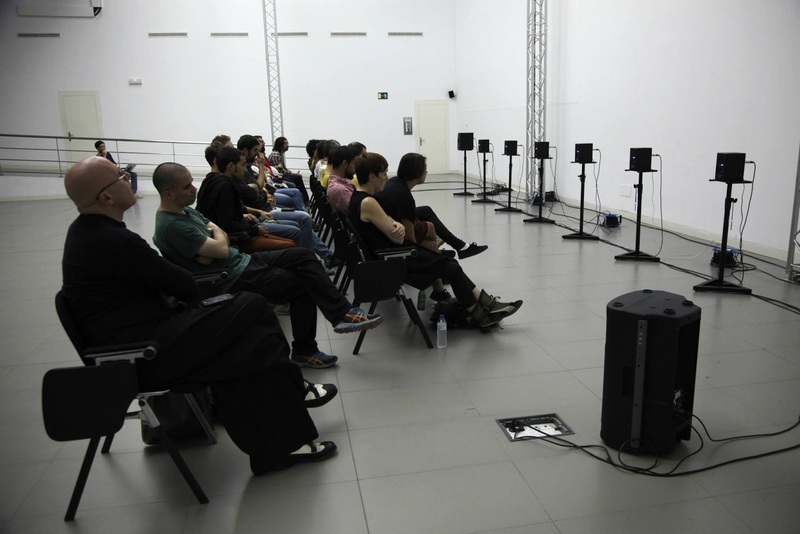 For "Inevitable Music", his installation, Roux presents the audience with a line of 9 speakers. The session is a collection of pieces based on Lewitt's drawings and instructions, a series of short works that last from 10 seconds to 10 minutes. Some fragments are based on the same wall drawing, each proposing different variations. A pre-recorded voice gives the title of each piece, giving concise explanations of how each piece is made. 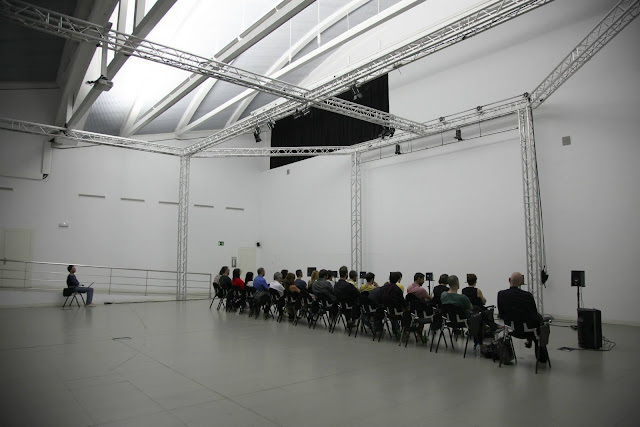 Riffing on Lewitt's diagrams and instructions, which are displayed alongside their gallery installations, every sound used in the piece is introduced during the titles.